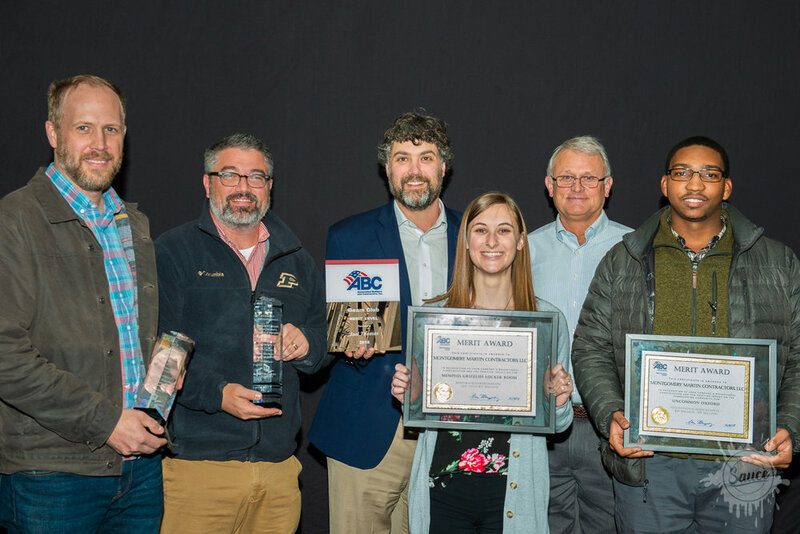 On Tuesday, December 4th, The West Tennessee Chapter of Associated Builders and Contractors (ABC) held their annual Excellence in Construction awards program, which highlights completed construction projects from the previous year. Montgomery Martin Contractors was presented with Awards of Excellence for two projects, the Nine at Memphis and the Grand Carousel at the Children’s Museum. MMC was also given Merit Awards for two other projects, Uncommon Oxford and the Memphis Grizzlies Locker Room. During the event, Joel Thomas was inducted into the Beam Club at the Merit Level. ABC’s Beam Club is a nationally recognized club and was established to recognize ABC’s top membership recruiters for their commitment to growing the association. On November 8th, we celebrated the opening of the second phase of the FedEx Family House. MMC built the initial FedEx Family House in 2010 as a place of hope and healing for out-of-town families of Le Bonheur Children’s Hospital patients. Since then, more than 160,000 family members have called the Family House home while their child is treated at Le Bonheur. The four-story, second phase consists of 21 new suites, 30 new hotel-style rooms for shorter visits and additional community gathering spaces. 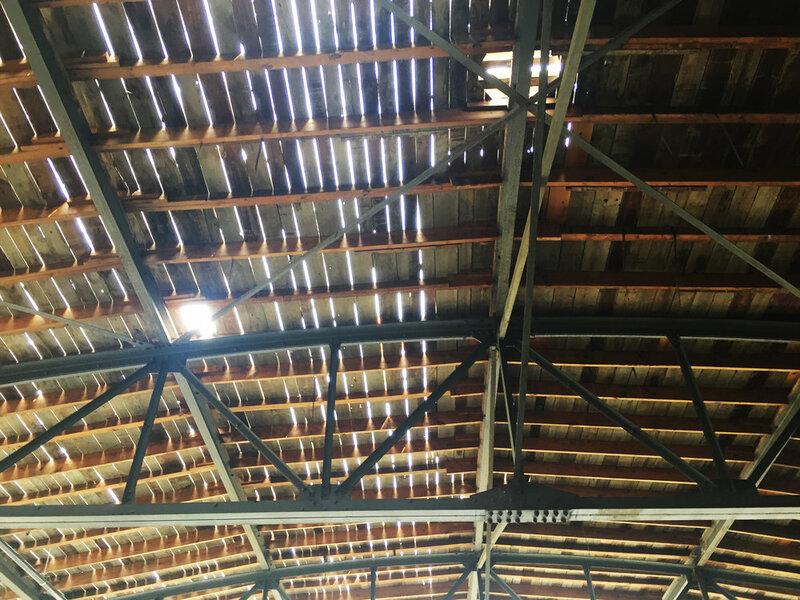 It’s officially football season and while most of the region gears up for the annual slugfests between SEC rivals, the University of Memphis has quietly stepped up their team’s gameday experience with another round of MMC-led renovations to the Liberty Bowl. The University, having, just recently, returned to football relevancy under coach Justin Fuente, has now firmly established itself as a legitimate football school under current coach, Mike Norvell. Last season, the Tigers were undefeated at home with a win over the No. 25-ranked UCLA Bruins. They averaged 36,302 fans per game at home, fifth among group of five schools and third in the American Athletic Conference. Prior to last season, MMC assisted in several phased improvements to the Liberty Bowl including a new video board, new chairback seats and upgrades to the media and skybox facilities. These were mainly fan experience improvements designed to attract more ticket sales and bring areas of the arena into ADA compliance. This summer, the University, in partnership with the City of Memphis chose to give the players some much needed love in the form of a brand-new locker room. Last week, the locker room was finally unveiled to the players and the public in anticipation of their season home opener. This new locker room now provides nearly 6,000 square feet of state-of-the-art space. The 105 lockers are all equipped with LED Monitors and data connectivity to display personalized info about each player. Every square inch of the space is designed to exude excellence, from the quotes on the walls to the high definition video imagery of game highlights that play on loop. The walls and columns are adorned with custom sheet metal panels and in the ceilings, swaths of LED lighting are covered in punched paneling to create a club-like vibe. There are even moving lights that sync with music from the upgraded sound system. From an operations standpoint, both the new coaches’ rooms along with the training room now provide direct access to the Liberty Bowl field. On several walls are large high-definition monitors that are connected to the offices allowing game planning to be broadcast to the team. The team enters the field from a main entrance that features more LED panels, looping video walls and a custom and contemporary steel roll-up door with one-way glass. It’s an over-the-top space designed to operate professionally and efficiently while providing the necessary pre-game hype for the football team. We're proud to announce that three of our recently completed projects have been named finalists in this year's Building Memphis Awards by the Memphis Business Journal. Winners will be announced at the Memphis Botanic Gardens on February 27th. The enhancements at the intersection of Marshall and Monroe as well as others in the area have been named a finalist for best renovation project for streetscape improvements. Winners will be announced at the 2018 Building Memphis Awards from 5:30 to 8 p.m. Tuesday, February 27th at the Memphis Botanic Garden, 750 Cherry Road. This project involved many partners providing invaluable services including the Memphis Medical District Collaborative who provided funding and project management, Montgomery Martin who was the contractor, Alta Planning + Design and LRK who delivered project design, the Downtown Memphis Commission who co-funded the project and commissioned the public art around the project, Allworld Project Management, and the City of Memphis. “The purpose of this project was to slow traffic, provide additional on-street parking, and improve safety for pedestrians and bicyclists all while improving the look and feel of the intersection,” said Montgomery Martin, President of the Montgomery Martin Contractors. “The project team was able to do this while achieving 38 percent minority firm participation in the project.” The seventh annual event recognizes and honors exceptional Mid-South construction and renovation projects completed within 2017. Award-winning projects exhibit excellence in architecture, design, engineering development, sustainable practices and construction and will have a noticeable impact in community investment, jobs created and effect on the surrounding area. Eligible projects included commercial real estate facilities in the industrial, office, retail, hotel or multifamily sectors that were completed mainly during calendar year 2017. Currently under construction, 158 Vance is being transformed from a label and print company to a premier advertising and marketing agency. What used to be a warehouse will now become a parking garage. What was a loading dock will now become an outdoor courtyard. 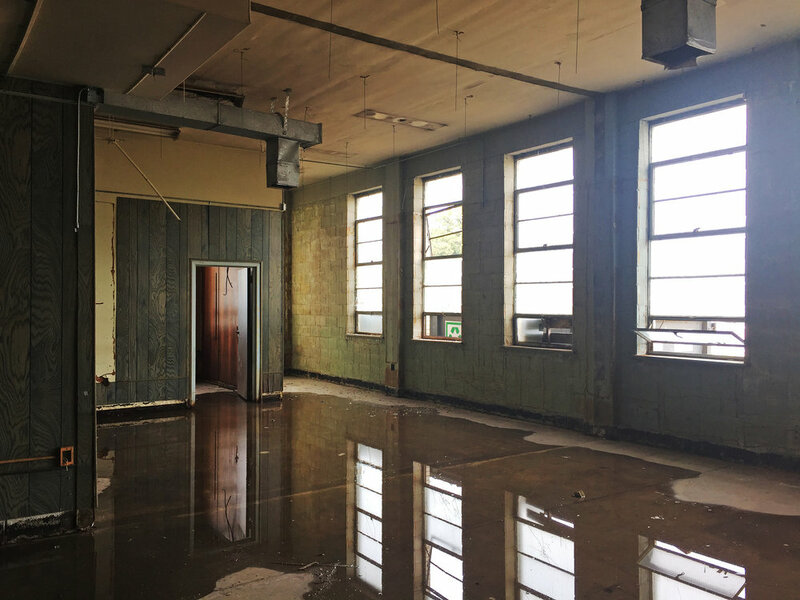 The rest is being converted from the dingy remnants of paint bays and print rooms to a contemporary, open floor plan office for the 30+ creatives who make up Oden. To see the building now, most would assume this was just the former Color Craft Label Company. But, the building has an even more colorful past originating from a very different time in Memphis’ history. Built as the Columbia Pictures distribution center in 1940, 158 Vance is one of the few standing reminders of the golden era of movies when Memphis served a relatively unknown but important role in the region’s motion picture industry. Throughout the early to mid 1900’s, the motion picture industry capitalized on American’s increasing appetite for Hollywood entertainment by building cinemas all across the United States. In those days, the individual motion picture companies owned their own theaters and refreshed the programming several times a week to meet demand. This process required a distribution system to quickly move the updated film reels from California-based studios and into regional theaters. An efficient hub and spoke system quickly developed where regional distribution headquarters stored and disseminated films to the theaters from centralized locations. Memphis, located at the center of the Mid-South, with access to major roads, bridges and railroads, easily became the ideal hub to move films out quickly to Arkansas, West Tennessee, Mississippi, and Missouri. Major film companies all set up shop in Memphis and in peak times, served over 650 theaters! These companies congregated in an area of one-story brick buildings around Vance and 2nd Street, which eventually became known as “Film Row.” Trucks would move in and out of Film Row at all hours and by 1937, there were nine film exchanges - Metro Goldwyn Mayer, Warner Brothers, 20th Century Fox, Columbia, RKO, Republic, Paramount, Monogram and Universal. After World War II, the combination of television and mass migrations to the suburbs slowed this once booming industry. Then, the Hollywood Antitrust Case of 1948 hammered the final nail in the coffin by ordering studios to divest themselves of their theaters. The loss of demand coupled with the inability of studios to show their own material sufficiently destroyed the need for distribution of this type and by 1958, much of Film Row had become a ghost town. Many years later, a few of the buildings still survive and emblems of these industry giants can be found embedded in their walls. 158 Vance survived for many years as the home of Color Craft, but once they closed, it become just another blighted property in downtown. Now, because of Oden’s investment, there is an opportunity to catalyze real growth in the former Film Row and for us, an opportunity to create another thriving place out of a forgotten building. Established in 1989, the Safety Training Evaluation Process (STEP) serves as a benchmarking and improvement tool for achieving world-class safety performance in construction. Participating companies score their level of achievement for each component on a weighted point scale and document their Total Recordable Incident Rate (TRIR) and their Experience Modification Rate (EMR). Companies receive a recognition level of Diamond, Platinum, Gold, Silver, Bronze or Participant based on this data. This week, MMC was presented a STEP award for reaching Platinum Level with our safety program and culture. This recognition of our safety practices, company-wide, is not to be taken lightly. The award is confirmation that our field leadership and employees are taking job-site safety very seriously and should be commended for their efforts. The measures by which the award is scored take into consideration both leading and lagging indicators i.e. the practices we have in place and the results of those practices. And while awards are not the purpose of our safety program, they do reflect a commitment to practicing, training and enforcing safe work. The award was presented at the 2018 Officers Installation & Government Officials Luncheon for the Associated Builders and Contractors Association (ABC). ABC is a national association with 74 chapters representing 22,000 merit shop construction and construction-related firms. ABC’s membership represents all specialties within the U.S. construction industry. Additionally, Joel Thomas and Steve Kassner (pictured below) were elected to at-large positions with the ABC’s board of directors and Peter Palazola (not pictured) was elected director at large for the Emerging Leader group. These board positions reflect a strong commitment to leadership in our industry by both MMC and these individuals. 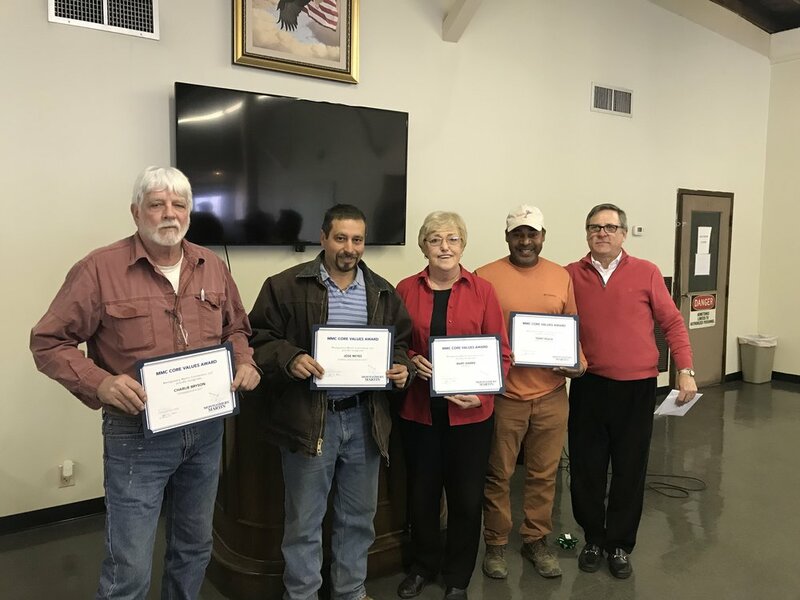 In the past Montgomery Martin Contractors has given out annual Safety Awards. This year we not only presented Safety Awards but we added Core Values Awards. A committee met to determine who should receive each award and the financial perks to go along with being recognized. At our Christmas Safety meeting, we presented awards to the salary workers. Then we asked the superintendents to nominate an hourly employee for each category and an overall award. Montgomery Martin Contractors is thankful to have such hardworking and dedicated employees. Montgomery Martin's Director of Marketing, Brandon Herrington, was chosen as one of Memphis Business Journal's Top 40 Under 40. Ten of us attended a luncheon honoring Brandon and the 39 other honorees. We are so proud of Brandon and all that he accomplishes. Our very own Montgomery was invited to join the conversation about what is right in Memphis. He was one of five panelistswho talked about urban renaissance. Not only did the panelist talk about what they have done and where our city is today but they also talked about the future of Memphis. Montgomery Martin Contractors held a workshop for potential subcontractors and partnerships at the MMBC office. Our senior estimator, Mark Thoss, went over the pre-construction documents and future needs we anticipate. Many subcontractors we have worked with in the past were present and many new faces were in attendance as well. We enjoyed meeting everyone and are looking forward to the projects ahead. Our Alumni from Mississippi State and Auburn University got to visit their alma maters for career fairs. Both groups said that they found many worthy candidates and enjoyed their time on campus! We look forward to continued relationships on both Mississippi State and Auburn's campus. This is Montgomery Martin's second year competing in the YMCA Corporate Games. The Corporate games are a way for companies to compete in athletic events while simultaneously supporting the Y and its continued program in Memphis. MMC signed up for Kickball, Corn hole, and Volleyball this year. Although we experienced a losing streak we are looking forward to the 2018 games! The Universal Life building was designed and constructed by Tennessee's first African-American architectural firm, McKissack & McKissack, in 1949. It was home to the Universal Life Insurance Co., which became an important place for commerce, civic and social gathering during the era of racial segregation. 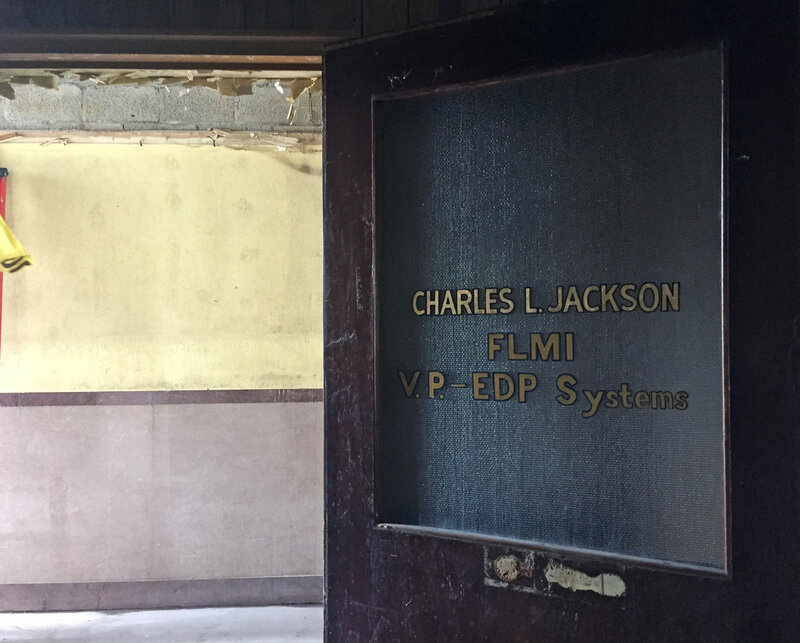 We are proud of our ongoing partnerships with Self Tucker Architects, Allworld Project Management, Bricks Inc. and others who are investing their time, money and energy to rehabilitate this important piece of Memphis' history. Interior demolition and clean up is now well underway so check out these pictures of the existing conditions before it all gets transformed. The Forrest Spence Fund is a local nonprofit that meets the needs of critically or chronically ill children and their families in the Mid-south. Montgomery Martin formed a team to run in their 10th Annual 5k. All of our participants finished the race but Richard Meena, one of our vice-presidents and the oldest runner from MMC, finished with a faster time than any of the younger runners! HIs accomplishment definitely gives credence to the age ole mantra - Age Before Beauty. Yesterday, we had the privilege of hanging out with some of the folks at Carpenter Art Garden in Binghampton. They graciously hosted us as a thank you for some donated concrete work, but after meeting some of those kids, we were the ones giving thanks! We saw first-hand how the Carpenter Art Garden continues to make an impact on the children of Binghampton. It is always enjoyable to be a part of something shaping not only the future of children but also the future of Memphis as a city. The Carpenter Art Garden is a place for children to come and express themselves through take home art, permanent installations, and tending to the existing garden. Volunteers help run the program by spending time there on Tuesdays. The purpose of the Carpenter Art Garden is to better the Binghampton neighborhood and encourage creative and healthy activities for children in the area. Montgomery Martin was excited to help expand the Carpenter Art Garden. Our guys spent time preparing the site for concrete, pouring the concrete, and making sure the project was completed. Cordova Concrete and Ram Tool Construction Supply also helped make this project possible by donating supplies. The children who cultivate the Carpenter Art Garden will be able to adorn the new cement wall, stools and pillar with the mosaic tiles they hand make. The Carpenter Art Garden will continue to bring life to the block and neighborhood as a whole. 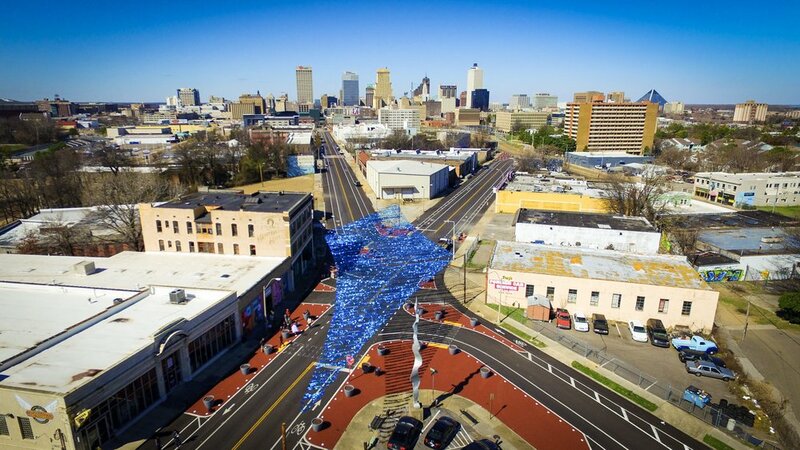 Dane Forlines of the Memphis Medical District Collaborative was gracious enough to spend some time discussing the work being accomplished in the Medical District including the recent installation of the large art project flying over the intersection of Monroe and Marshall. Watch the video to learn more about this awesome project! On Saturday July 22nd, volunteers from Montgomery Martin again visited St. Mary's Soup Kitchen in Downtown Memphis. Billy Hardwick's Bowling Alley gave our employees a platform to show their competitive edge on Thursday, June 29th. Technique and experience were key for those producing high scores. However, the pizza, beer and friendships made losers feel more like winners as well.